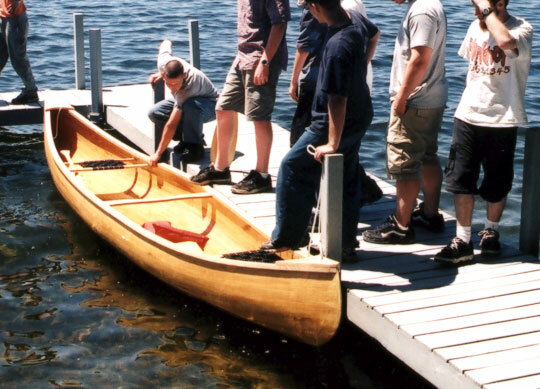 Jason Perkins teaches a boatbuilding class at Kingswood High School in Wolfeboro, NH and built this 16' E.M. White-designed White Water canoe with his class. They used plans from Gil Gilpatrick's book, "Building a Strip Canoe," and followed his instructions "almost to a tee." They used Northern white cedar for the hull with ash for gunwales and seats. They built everything from scratch and even milled their own lumber.